Methods: In this cross-sectional study, 550 male and female athletes were randomly selected from 4 regions in Ahvaz, Iran. A questionnaire, including demographic information, sport information sources, nutritional knowledge and practice level, was filled by athletes. Chi-square and Pearson tests were used to examine the relationship between the qualitative and quantitative variables, respectively. Independent sample t-test and one-way analysis of variance (ANOVA) were used to compare the mean differences between two or several groups, respectively. Results: Of the 11.8% of athletes who received nutrition counseling, 43.2% actively obtained nutritional information, including the contribution of coach (19.2%), internet (12%), nutritionists (9.2%), and family 3.8%. The mean score for knowledge and nutritional practice were 29.5 ± 5.36 and 10.69 ± 2.04 in men and 29.65 ± 3.96 and 10.95 ± 1.8, in women respectively. The mean score for knowledge and practice were significantly higher in subjects who received nutrition counseling (p <0.001). The highest score for knowledge and practice were reported among bodybuilders. There was a direct and positive correlation between nutrition knowledge (P = 0.01, correlation coefficient = 0.1) and nutritional practice (P = 0.003, correlation coefficient = 0.12) and educational level. The knowledge level and practice increased positively with increase in age (p = 0.001, correlation coefficient = 0.15). Conclusion: The findings of this study suggest that the knowledge and practice of athletes may be increased through providing appropriate nutritional counseling and increasing of the education level. 2. Birkenhead KL, Slater G. A review of factors influencing athletes’ food choices. Sports Med. 2015;45(11):1511-22. 3. Logue D, Madigan SM, Delahunt E, Heinen M, Mc Donnell SJ, Corish CA. Low energy availability in athletes: a review of prevalence, dietary patterns, physiological health, and sports performance. Sports Med. 2018;48(1):73-96. 10. Dunn MS, Eddy JM, Wang MQ, Nagy S. The influence of significant others on attitudes, subjective norms and intentions regarding dietary supplement use among adolescent athletes. J Adolesc. 2001;36(143):583-92. 11. Little JC, Perry DR, Volpe SL. Effect of nutrition supplement education on nutrition supplement knowledge among high school students from a low-income community. J Community Health. 2002;27(6):433-50. 13. Montecalbo RC, De Jose EG. Body image and eating attitudes of Philippine national athletes. Asia Life Sci. 2013;22(1):251-65. 14. Churchward-Venne TA, Holwerda AM, Phillips SM, van Loon LJ. What is the optimal amount of protein to support post-exercise skeletal muscle reconditioning in the older adult?. Sports Med. 2016;46(9):1205-12. 15. Pasiakos SM, McLellan TM, Lieberman HR. 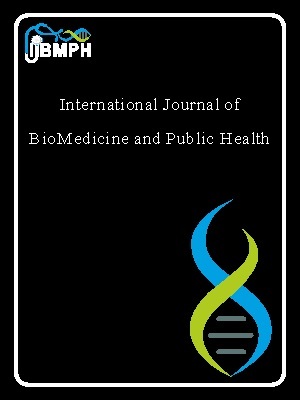 The effects of protein supplements on muscle mass, strength, and aerobic and anaerobic power in healthy adults: a systematic review. Sports Med. 2015;45(1):111-31. 17. Daries H. Nutrition for sport and exercise: A practical guide: John Wiley & Sons; 2012. 20. Rash CL, Malinauskas BM, Duffrin MW, Barber-Heidal K, Overton RF. Nutrition-related knowledge, attitude, and dietary intake of college track athletes. Sport J. 2008;11(1):48-55. 22. Slater G, Phillips SM. Nutrition guidelines for strength sports: sprinting, weightlifting, throwing events, and bodybuilding. J Sports Sci. 2011;29(sup1):S67-S77. 23. Dunn D, Turner LW, Denny G. Nutrition knowledge and attitudes of college athletes. Sport J. 2007;10(4). 24. Lee MS, Kwak CS. The comparison in daily intake of nutrients, quality of diets and dietary habits between male and female college students in Daejeon. Korean J Community Nutr. 2006;11(1):39-51. 25. Paugh SL. Dietary habits and nutritional knowledge of college athletes. Bachelor's Thesis, Faculty of the School of Graduate Studies and Research, California University of Pennsylvania. 2005:1-79. 28. Basmi M, Ibrahim Kh, Maleki A. The nutritional knowledge, attitude and practice of male students’ athletes in 2014, IR- university games. Physiol Exerc Phys Act. 2014;9(1):1345-54. 32. Azizi M, Khosravi N, Malaee M, Malaee M, Rahmani-nia F. A study of nutritional knowledge and attitudes of elite college athletes in Iran. Braz J Biomotricity. 2010;4(2):105-112. 33. Ramin AS, Jafari A, Pour Razi H. Evaluation of knowledge, attitude and practice of nutrition and effective factors on them in athletes of East Azarbaijan Province. Physiol Exerc Phys Act. 2013;6(2):885-94. 34. Barzegari A, Ebrahimi M, Azizi M, Ranjbar K. A study of nutrition knowledge, attitudes and food habits of college students. World Appl Sci J. 2011;15(7):1012-7.